They look innocent enough. They’re small and look similar to computer memory flash drives. But vaping pens aren’t safe. Doctors say teens are increasingly using them, however, seriously putting their health at risk and can possibly cause neurological problems. Vaping devices can use chemical oils, marijuana and other drugs and substances. Teens often underestimate the health risks of e-cigarettes or “vaping.” Marijuana vaping, in particular, has become popular among youth. Vaping devices were recently confiscated at two local middle schools in Pacoima and Sylmar. Students as young as 13 were caught being “high” from using the devices. While vaping pens — electronic cigarettes — are viewed as a safer alternative to regular tobacco, these battery-operated devices use a heated nicotine-laced liquid to generate an aerosol that users inhale. The liquids come in a variety of flavors that release fruity and sweet vapors. 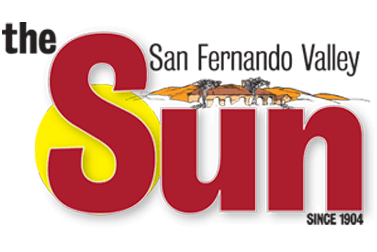 A parent, who requested anonymity, told the (italics) San Fernando Valley Sun/El Sol (italics end) a seventh-grade Sylmar student took a marijuana vaping pen from an older sibling and brought it to campus, and it was passed around classmates. “By lunchtime, [the student] had no idea who had taken it [and inhaled from the device]. I was [one of the parents] called into the dean’s office and there were 13 other kids who had taken a hit. There were 13 ‘high’ kids in the office” from marijuana vaping, the parent said. LAPD Mission Division officers said they could not confirm the incident, and said they could not release any information that involves minors. The young girl told her mother she had been vaping marijuana to “control” her emotions and depression. The mother grew more concerned to learn that her daughter said she thought she could vape enough to overdose. The incident left the mom worried and distraught. She and daughter are now in therapy. At the middle school in Pacoima, during a parents meeting, the principal showed them photos of several marijuana vaping pens that had been confiscated from students. Some were even caught using them in class. Parents that vaping pens are easily hidden in the pant pockets and in the hoods of sweaters. “This is the reality we’re living in,” the principal told the parents. LAUSD spokesman Timothy Kordic, via email, said the prohibited used of vaping is detailed in the district’s substance abuse policy featured in its Parent and Student Handbook. According to the handbook, the district “prohibits the use of electronic nicotine delivery systems (ENDS) such as e-cigarettes, hookah pens, cigarillos, and other vapor emitting devices, with or without nicotine content, that mimic the use of tobacco products on all District property and in District vehicles at all times. ENDS are often made to look like cigarettes, cigars and pipes, but can also be made to look like everyday items such as pens, asthma inhalers and beverage containers. However, he added that among the chemicals found in them is glycerol, which can cause damage to the DNA of the lungs, the bladder and the heart. “These kinds of things are linked with a risk of heart disease and lung and bladder cancer,” Yashar said. In 2016, California voters approved Prop. 64, which legalized the use of marijuana for recreational use. Many other states have followed suit. Those two factors, experts note, have led to higher incidence of teens using vaping pens, with nicotine and marijuana. More than one-third (37.3 percent) of 12th-graders reported vaping at least once in the past 12 months, according to a survey released last September by the National Institute on Drug Abuse. That’s an increase of nearly 10 percentage points over 2017, when 27.8 percent of high school seniors reported vaping. Also last November, the US Food and Drug Administration and the US Centers for Disease Control and Prevention released a report stating that more than 3.6 million middle and high school students are using e-cigarettes — 1.5 million more than in 2017. But the cartridges that go inside these pens filled with liquid nicotine are being substituted with others that carry a liquid containing THC, the chemical in marijuana that gets people high. Pot inhaled through a vape device produces a more powerful high — and often with more dangerous side effects — than the smoked version, according to a study in the Journal of American Medical Association (JAMA) Network Open. At the same level of THC, vaping led to higher blood concentrations of the chemical than smoking, as well as higher levels of anxiety, hallucinations and feelings of paranoia, according to the study. In an effort to reduce the availability of vaping pens to teens, state Sen. Jerry Hill (D-San Mateo) introduced a bill in December banning the sale of flavored e-cigarettes in retail stores and vending machines, with stricter rules included for age verification in the sales of tobacco products online and by mail. SB 38 and 39 are supported by 20 other legislators. “We must stop the appalling epidemic of e-cigarette use by youths. Enticed by fruit, candy and other appealing flavors, high school and middle school students throughout the US are vaping in record numbers. The surge has reversed the decline in underage use of all tobacco products,” Hill said after introducing the measure. While that could help, Yashar emphasized that prevention starts at home with an open and honest dialogue between parents and their kids. Most importantly, the doctor said, lead by example. “If you’re stressed, don’t come home to have a cigarette or vape because this will send the message to your kid that this is a way to relieve stress,” Yashar said. He admits the fact that marijuana is legal in California can make it a harder discussion to have with young, impressionable minds. But that also makes it much more important. “Just because something is legal doesn’t mean it’s good for you,” Yashar said.